Located on the South Coast of New South Wales, 2 hours south of Sydney, Mercure Gerringong is the only multi award-winning hotel in the Kiama area. Only 5 minutes from the beach the hotel provides guests with access to an extensive range of leisure facilities including a chic restaurant, a day spa, 2 pools, tennis court and a sun drenched garden courtyard. Mercure Resort Gerringong has 52 rooms and is the perfect choice for holidays, events, conferences and weddings. 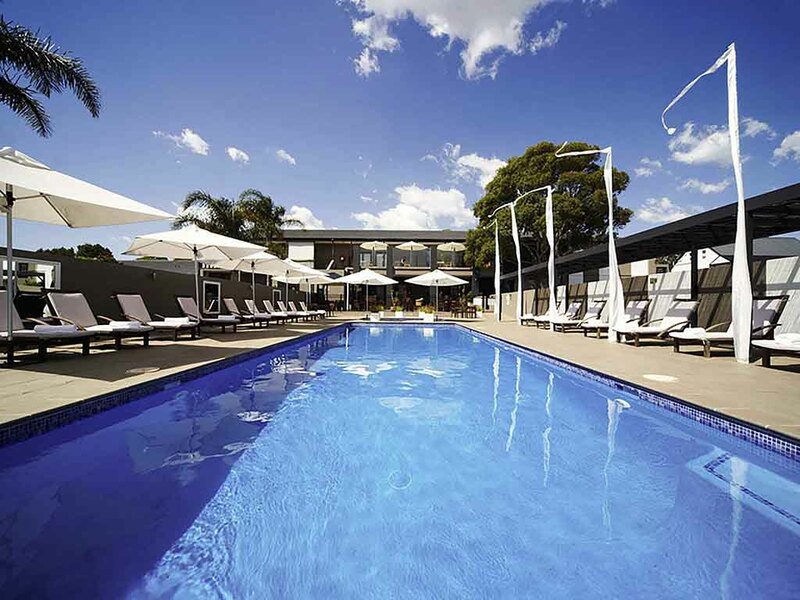 Situated in the spectacular Illawara region on New South Wales' South Coast, Mercure Gerringong Resort provides guests access to Kiama and the area's many attractions, including Jamberoo Action Park, Minnamurra Rainforest and Illawarra Fly Tree Top Walk. Featuring a range of elegant indoor and outdoor event space with the capacity to accommodate up to 120 guests, Mercure Gerringong is the ideal choice for business meetings, social functions and weddings on the stunning New South Wales South Coast. The bar is the perfect place to relax, meet friends for pre-dinner drinks and enjoy a choice selection of Australia's finest boutique wines.